These days, selling an awesome product isn’t enough; you have to sell customers on your brand, too. But, how do you do that? There are so many different aspects that go into creating a compelling brand your customers want to purchase, but it’s what can set mediocre businesses apart from successful businesses so we recommend spending some serious time working on your branding. Many new business owners think the only part of their branding they have to create is their logo but in fact, there’s so much more that goes into creating a brand. Branding encompasses everything your customers can see and touch, including your website’s user experience, your product packaging, your unboxing experience, your FAQ page, your product photography, your social media channels and so much more. More than ever, customers are willing to pay more for a great brand experience, so no business should make themselves an exception. Turn your business into a branded experience your customers can see and touch with this guide. If you thought that creating a great logo was the only part of your branding experience you needed to invest time and effort into, you really need this guide. If you’re interested in branding but you aren’t sure where to begin, then this guide is a great starting point. If you want to create a killer brand that draws customers in and boosts your sales, then this guide can definitely help you get there. No matter what stage you’re at in the business-building process, this branding guide can help you put more thought into the design choices you make along the way, whether it’s to do with your website, product packaging, logo, business name, unboxing experience and more. This comprehensive Ecommerce Branding Guide will help you turn your business into a brand that your customers want to purchase products from. You’ll learn about the elements of your brand that you have control over as well as the uncontrollable elements that you can influence but not decide. You’ll start by crafting your own brand persona and then move on to developing your brand’s visual assets so you can create a cohesive look and feel for your business. Through this process, you’ll become more aware of who your target customer is and the ways in which you can optimize your ecommerce store to reach out to them. The topics you’ll learn in the Ecommerce Branding Guide will take you several steps closer to developing a more professional brand that will leave a great impression on your customers which will encourage them to share their experiences with others and keep them purchasing from you again in the future. 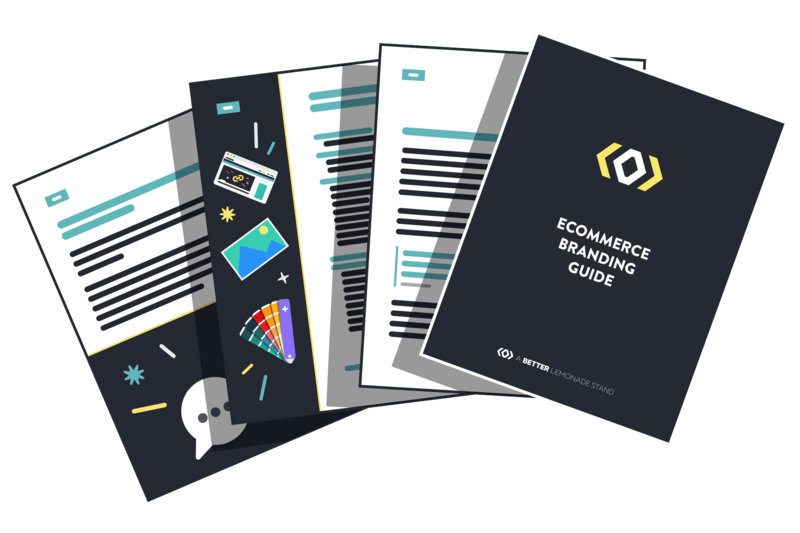 Our Ecommerce Branding Guide is a comprehensive document, reaching 100 pages, so there’s lots of content to dig into and numerous resources, tools, apps and services that are suggested for you to use along the way. It’s a great resource for brands that are in the building and launching phases of starting their businesses and it’s ideal for businesses to work through before they start making any big decisions for their brand. Whether you have no idea where to start with building your brand, or you just need to work on a few areas of it, this Branding Guide is designed so you can read it from cover to cover or jump from section to section as and when you need to. If you’re totally new to branding, we recommend starting right from the very beginning and working your way through to the end so you don’t miss any important pieces of information. 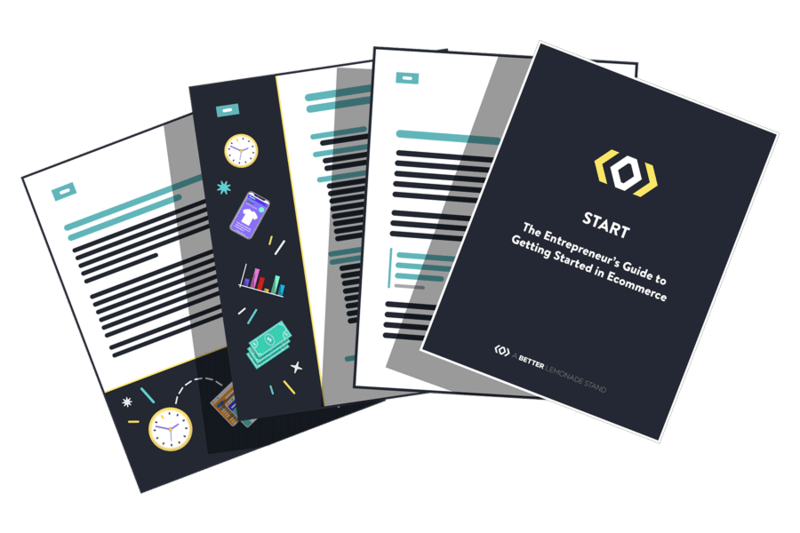 There are lots in this guide, and it’s great information for new entrepreneurs to consume! If you’re not a completely new entrepreneur and just need some help working through parts of your branding strategy then feel free to jump to the sections that are most applicable to you. If this is the case for you, the resources mentioned in each section are likely to be a huge advantage to you, as are the bonus worksheets, walk-throughs and examples. Ready to get started creating a compelling brand customers will love? Get started with the Ecommerce Branding Guide!